Walking Distance from Penn Station and Madison Square Garden (MSG) 34th Street Herald Square: B,D,F,M & N,Q,R. 33rd street station 4,6. 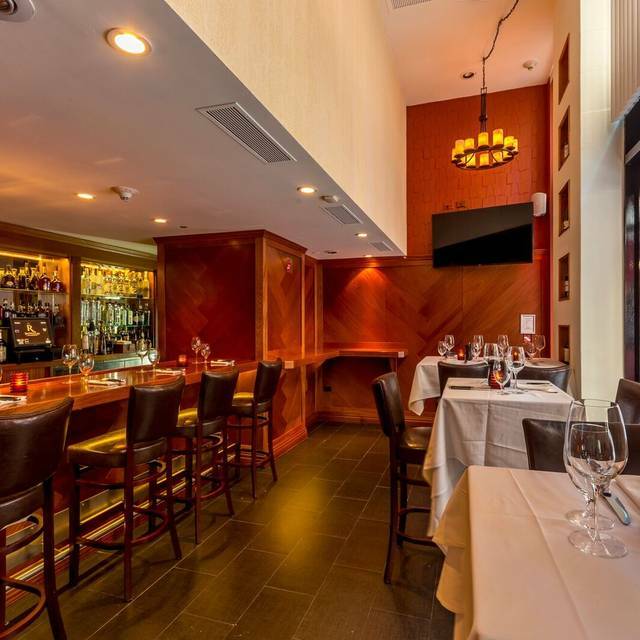 Royal 35 Steakhouse is a stone’s throw away from iconic New York City landmark, The Empire State Building, combining the vibrant energy of New York City with an authentic steakhouse setting. At the core of Royal 35’s menu is our classic collection of USDA Prime beef which is dry aged for 30-35 days in our in-house aging box. The 130-seat dining room and upper level private dining room offer a chic and elegant backdrop for an unforgettable dining experience for our guests. 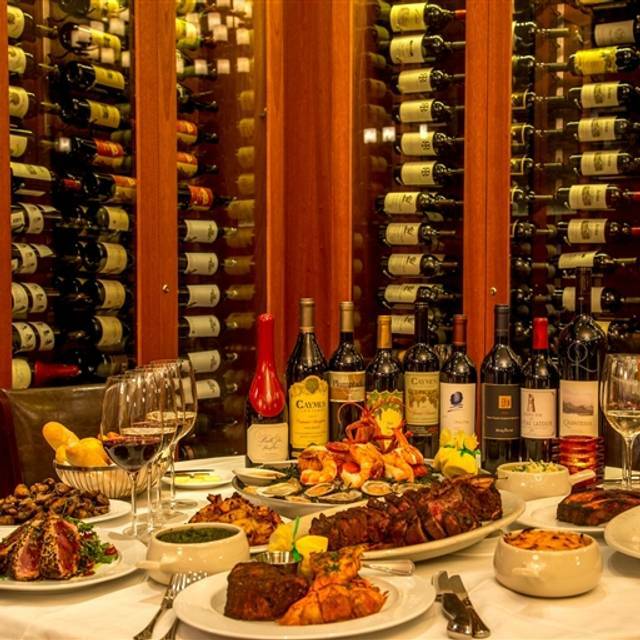 Enjoy Dry Aged Steaks & Award Winning Wines for Mother's Day Sunday, May 12 from 2:00pm to 10:00pm at Royal 35 Steakhouse. OMG. Excellent food as was as great service to say the least. Our steaks were cooked perfectly. 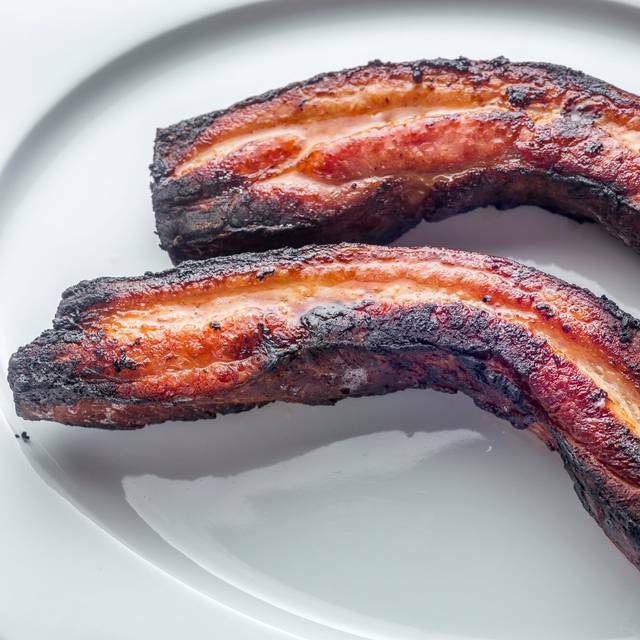 The sides were delicious. We highly recommend. One of the best steakhouses in NYC. We had the lump crab and calamari to start, the crab was so sweet and the portions are huge. The staff are amazing and make you feel so welcome. Fantastic food, great atmosphere. If you are looking for a good steakhouse you will not be disappointed amazing did not know this place existence, I will be the new regular. One of the best steaks I’ve had, bone in rib-eye melted in the mouth. Place itself lacks a little atmosphere and the decor is a bit bland. Go for the steak though! Steak is pretty good for what you'd expect. Macaroni and cheese is extra Bleu. 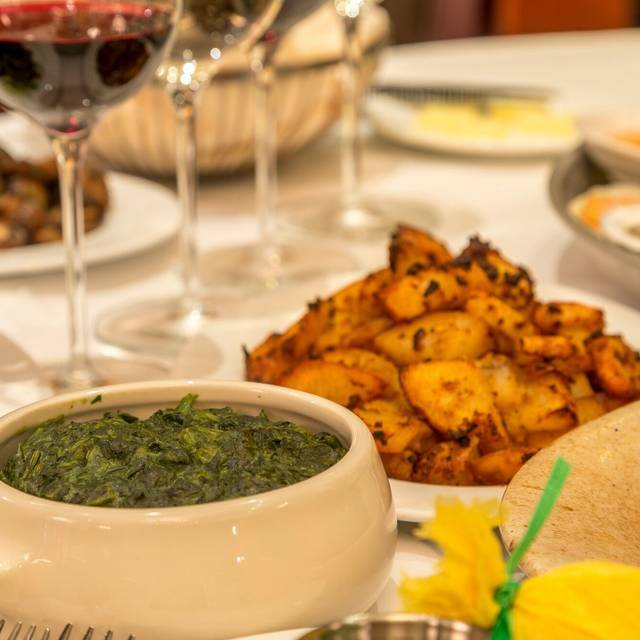 The food is amazing- from start to finish, and the service is impeccable. We had a wait for our table and we enjoyed the waiting time. For such a value the steaks taste like a thousand bucks. Dessert out of this world. 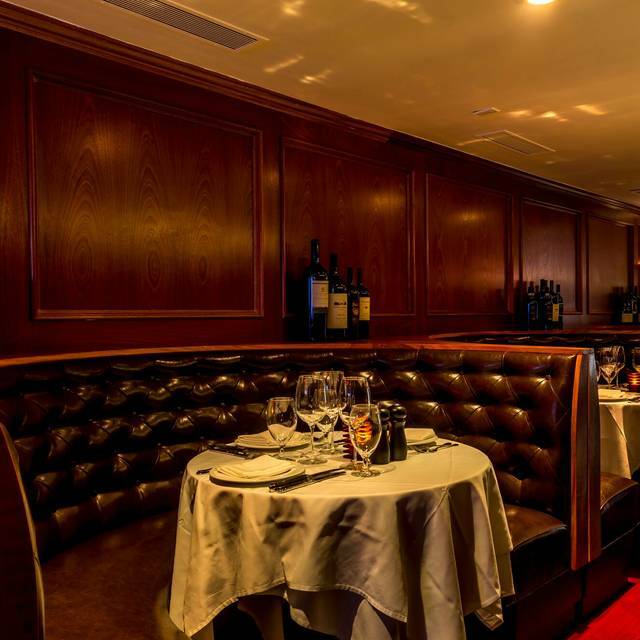 Good classic New York City steakhouse. Come hungry, expect to have left overs. The staff was attentive, the service was excellent and steaks were to die for. Food it’s amazing. Service is always spectacular. Very friendly host and management staff as well. 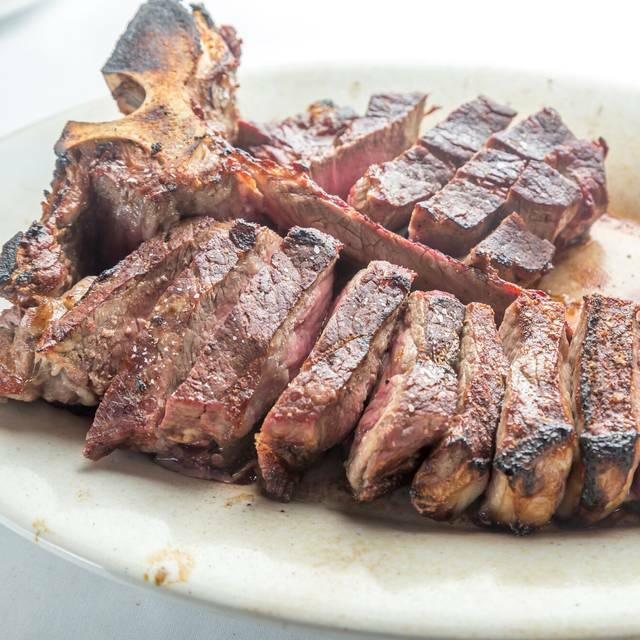 The Porterhouse Steak for two is spectacular. My husband and I celebrated our 10th anniversary here and were treated like royalty. Food is A+ quality and service is beyond that. It was an amazing experience and I can't wait to go back for another occasion. This is the Best steakhouse in NYC I have been to all of them nothing comes close to Royal 35. Excellent food and service. I would highly recommend this restaurant and looking forward to my next visit. One of the rare occasions of going to a steakhouse and getting an excellent meal. My veal chop was an excellent cut and well prepared and delicious. My partner had the petit filet mignon which was more than enough for dinner. The sides were excellent and large portions. The waiter was polite, professional and extremely helpful in helping us to make choices. The only comment I have is the tables could have a little more light....the candle in an amber candle holder did not throw enough light on the table. The room is dark which I did not mind...but the table needed more pleasant dinner lighting. The steak was cooked perfectly, the service fantastic and the bread was delicious. An absolute must in NYC. The atmosphere was elegant and relaxing. The service was outstanding. Had a wonderful meal at this Steakhouse. Had the Rib eye steak and it was superb. Kudos to the chef! My only comment would be that we felt our meal was slightly rushed however the food and the waiters were lovely. We just like to take our time over a meal. My favorite steak house. The food is consistently excellent with great service. We enjoyed everything about the evening. The food was delicious and the service was outstanding. Highly recommended. Great steakhouse. All the food and service was good. The steaks were cooked to perfection and the sides (Mac & cheese, onion rings) were delicious. I ordered the French onion soup and had wonderful flavor. The only negative was the cheese on the French onion soup was burned with a strong burned odor. I will go back if in the area. What a phenomenal place! Great service and really good food in a nice environment. Great steak, great service - acoustics were a bit off as a loud group dominated the room but left very satisfied! Amazing steak and great service! Ambiance was a little mafioso but still great for our 11yr and 4yr old. We got 2 porterhouse steaks and it fed 6 of us! Service was excellent. I absolutely loved the ambiance and decor. It had a nice upscale yet relaxed vibe to it. I will definitely be going back to try some more menu items. My only regret was not saving enough room for dessert. Delicious! The bone in ribeye...perfect amazing. All the sides were great. The staff was very informative. You will not be disappointed. Enjoy! First time there. Good food and service. Beautiful decor. Very inexpensive compared to other steakhouses. Will definitely be back. A top quality steakhouse that deserves a visit . 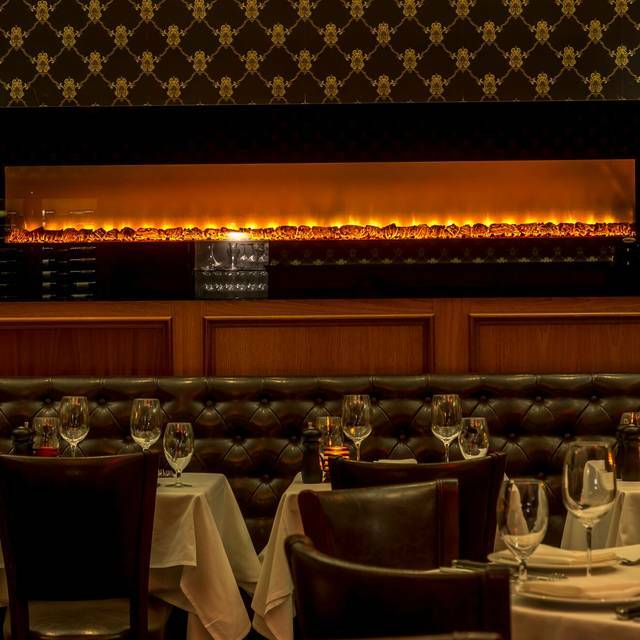 Aged steaks cooked to perfection with great service and a small place atmosphere. We will be back !! While food and value were great, the overall service was not up to par, as, for exemple, I had to wait too long to receive the glass of wine I ordered. Furthermore, to my surprise, Royal 35 does not offer the béarnaise sauce, a must, in my opinion, for a renowned steakhouse. But on the whole a place where to come back! Great steak dinner. The steaks are excellent and the crab cake was a standout appetizer. Wine list is limited and needs a greater old world balance. Mark-ups are a little steep also. Side dishes were solid, with the German potatoes quite excellent. Desserts are decent also, recommend the orange butter cake! Service was exceptional from the time we arrived until the moment we left. Absolutely delicious!!!!! Excellent service, steaks are always sizzling hot when presented at the table. I would highly recommend this place for dinner or any special occasion. This was one of the best dining experiences I've ever had the food was amazing.. Be sure to make a reservation. The service is impeccable. Good service and excellent food! Thanks to all kitchen and front of house staff! Went here for lunch. Despite the great meat locker, we had lamb chops and shrimp scampi. Both were excellent. 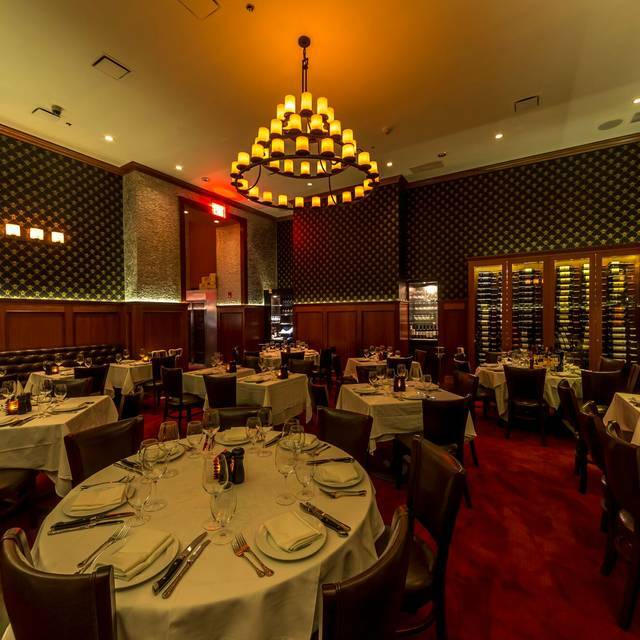 The dining room is quiet, which is a nice change for the typical raucous NYC steakhouse. The waitstaff doesn't rush you and makes you feel at home. The food was excellent all around. One of the best places I've eaten. The PORTERHOUSE steak was amazing along with the staff. 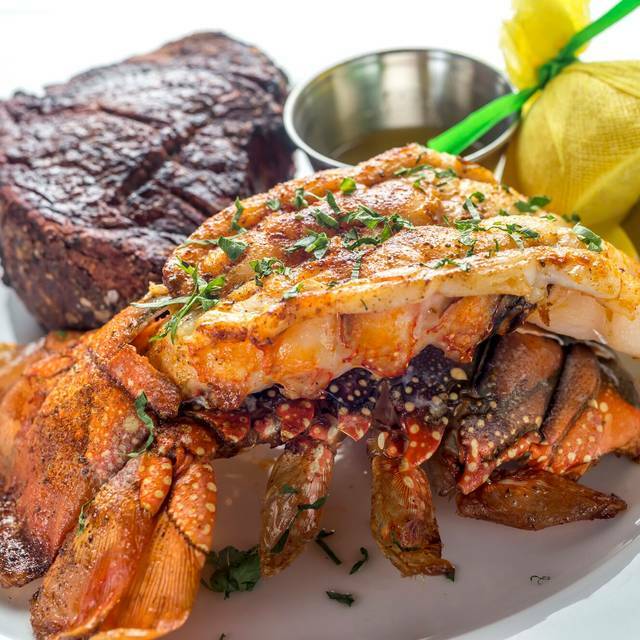 Once you put their steak in your mouth and chomp down and feel the texture of the quality you are biting into so juicy, you will then know that Royal 35 is a steakhouse unlike any other; a steakhouse that separates itself from the rest of the industry in NYC. Went to Royal 35 Steakhouse on the recommendation of a friend. Place was definitely nice, upscale and the service was wonderful. The seafood tower was tremendous and delicious. I got the Bone in Rib Eye steak rare and it was amazing. The steak came out cooked perfectly. The food was perfect. I would highly recommend this place for steak and seafood, or even just a drink. Great service. Good food. Steakhouse feel. Would recommend.